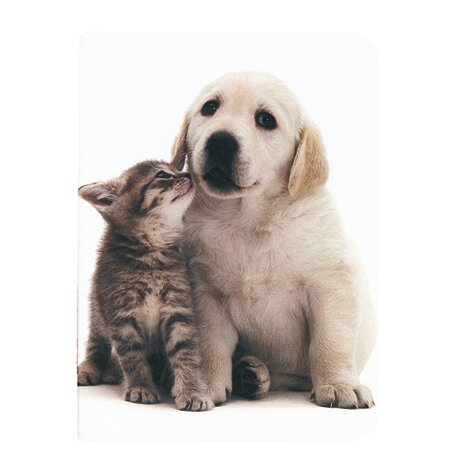 Looking at the cuddly mixed pairs of puppies and kittens on these three booklet journals, it's hard to imagine dogs and cats were ever "enemies," as they variously snuggle, nuzzle, and playfully grapple one another. The 4½ × 6¼inch journals are made from environmentally friendly materials and feature paper covers, rounded corners, and 48 pages with sewn bindings. Bundled with unbleached twine, the set contains a blank booklet, a lined booklet with super-slim 4mm rules, and a graph paper booklet with 4mm squares.